Are you interested in exploring alternative business loan providers? Ready to say thanks but no thanks to banks and look at things like peer-to-peer platforms? 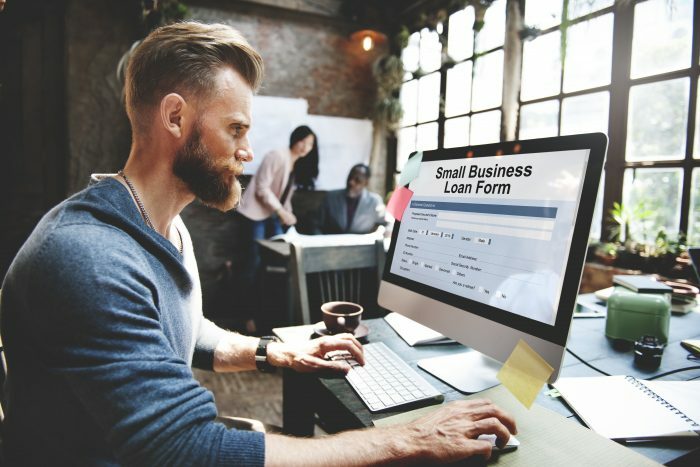 In this guide, you’re going to find out everything you need to know about alternative business loans, including what they are and where you can find alternative business loans. Liberis is one of the only finance providers to offer no APR on their loans, which means no interest to pay back – all you need to do is pay off one fee, so you know exactly what you will be paying. This makes their loans some of the cheapest in the market, so they should be considered for alternative business loans. Spotcap is one of the leading alternative finance providers for business loans, with a high Trustpilot rating of five-stars, they are trusted by their customers and claim to offer exceptional service as well as a range of products to suit your business needs. They provide customers with up to £250,000 in funding for your company, which makes them an excellent choice for companies that turnover at least £500,000 a year. Capify is on a mission to help make business finance stress-free and straightforward. They have helped companies raise over £320 million in financing since their inception in 2008, and aim to give you a decision about your funding within 60 seconds. Fair Finance, as the name suggests, wants to make finding finance easier and fairer for all customers regardless of backgrounds. They want to create an environment that allows people who are usually excluded from the mainstream financial industry to access funding, such as small business owners and people who are self-employed. Startup loans are for startup companies who can benefit from having a loan of up to £25,000 for an annual interest rate of only 6% and you don’t have to pay arrangement fees or any other extra fees on top of that. This is to help new companies to establish themselves and find funding that won’t put a fledgeling business into unaffordable debt. Choice Business Loans are technically a broker rather than a lender, but this means that you get excellent customer service from a company that specialises in finding your company solutions that suit your needs. Fleximize was named best business finance provider by the British Bank Awards in 2018. They claim to allow your business to grow at the pace it needs to, by offering relatively long borrowing terms of up to four years, and up to half a million pounds. This could be a perfect fit for companies looking to purchase their property or vehicles. Ezbob is bringing a change to the way that banks and other financial institutions lend to consumers and small to medium enterprises. They act as a middleman between banks and customers, so they can offer the excellent rates that you’d typically find when looking to borrow from a bank, but their exceptional customer service. Representative: Borrowing £50,000 over 12 months would mean you would be repaying £58,873. These payments would be £4,166 a month plus interest on your remaining balance. iwoca prides itself on providing their customers with fair decisions, lightning-fast applications, outstanding flexibility and service. Thousands of companies have borrowed £500 million, and they could be an excellent fit for many different businesses regardless of size. Representative: Borrow £10,000 for 12 months at 49% representative APR. Interest rate of 40% p.a. (fixed). Total amount repayable is £12,165. Actual rate may vary based on circumstances. Funding Circle is one of the peer-to-peer lenders that have been sprouting up around the UK in the last few years. With a peer-to-peer platform, the lenders are regular citizens that want to help their savings grow by investing in UK businesses. For businesses, this means low AER and only a couple of extra fees. 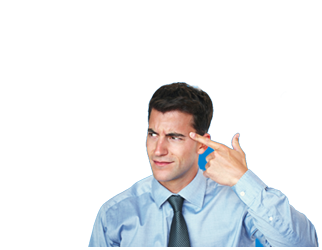 Representative: Borrow £20,000 for 12 months with fixed monthly payments of £1,752 a month, with a completion fee of 2.5% and interest of around £526. Total amount payable is £21,026. This list of the top 10 business loan providers mainly takes into consideration the companies customer reputation, how much your business can borrow and the interest your lender will charge you. A business loan is when you apply for funds from a lender like a bank or alternative finance provider so you can pay for things such as any new equipment or premises. You will then pay back this money often over a set period, which includes paying interest, which is when you have to pay back a little extra, as payment for borrowing funds. Traditionally business loans would come from banks, but in the modern age there are so many different options available to customers, called ‘alternative finance providers’. Let’s take a look at what alternative business loans are, and what an alternative finance provider is. What is an alternative business loan? An alternative business loan comes from a nontraditional lender such as Fleximize or Liberis, who isn’t technically a bank but a finance provider who can lend businesses funds. Sometimes an alternative business loan would be available to you even if you have been rejected by a bank in the past, as they generally tend to look past your credit score to look at your circumstances. The negative is that with an alternative business loan you may not be able to borrow as much as with a bank, because they might not have the funding available for a larger loan. What is an alternative finance provider? Alternative finance providers aren’t banks, which means that they work independently from traditional lenders and can make their own decisions about who they lend to, and how much they are willing to give. This means that they could accept your application even if you have a bad credit score, which traditionally dictates whether or not you get a loan from banks. They often provide an array of different solutions for businesses of all sizes, and various financing types, such as short-term loans that are more traditional. Or, merchant loans which are when you take out a loan, and you make repayments by using a percentage of your card sales. Sometimes you might have a lender who is willing to lend you an amount in the millions, so you should compare all of your options regarding alternative finance providers before making a decision. Crowdfunding has grown exponentially in the last ten years or so, especially when it comes to the funding of startup companies. This is also now true for businesses of all sizes, as peer-to-peer lending has popped up to fill in the gap between people who want to invest in companies but might not have a lot of capital to spare, with companies that might have been rejected by traditional lenders in the bank. Funding Circle is an excellent example of crowdfunding used in generating funding for businesses. They now help some companies fund up to £500,000 to purchase anything from premises to vehicles or paying salaries for new workers. For investors, you can start with investing as little as £20 for a single company, or £100 to have your funds spread across some businesses that could deliver a return. This is where you exchange equity in your company for funds, which essentially means selling shares in return for the finances you need to pay for workers or equipment and so on. Crowdcube operates an equity funding platform which can help launch businesses successfully from the very beginning, with the funding they require to build and grow. You don’t have to pay for your use of the service, only a one-off completion fee once you have raised the finances you need. Merchant loans are loans that you repay by utilising your card sales, so you don’t pay back a monthly sum out of your back, you only make repayments when you sell a product. This can be useful for shops, where it could be easier to pay a percentage of your sales back than transferring funding on a monthly basis, especially when your company is more seasonal. iwoca, for instance, uses financial technology to provide customers with instant decisions regarding their finances, using sophisticated tech to consider many different factors when accepting an application. If you are rejected by your bank, there are still options available! You could take a look at crowdfunding or peer-to-peer platforms, equity funding or even financial technology companies to find the right match for you and your company. Take a look at the ExpertSure guides to find out more about your finances, or fill out the form at the top of the page to see what your loan options are right now.